Save on the best floor registers online. 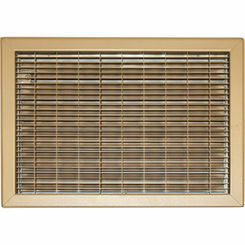 We are worldwide leaders in heating and cooling supply. 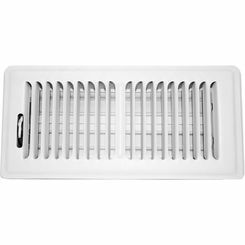 With hundreds of vent cover options to choose from, PlumbersStock surely offers discount floor register covers to meet your needs. 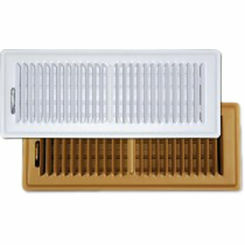 How Does an AC Floor Vent Cover Work? 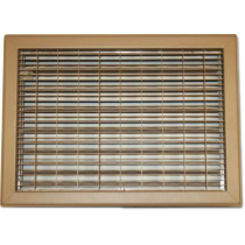 Floor registers direct the airflow as you heat or cool your home, according to the angles you set. You can always change the floor register to add a different style to your home's décor or adjust the direction of the airflow if you desire. Make sure it’s the right fit so it can optimize the efficiency of your heating and cooling system. Heat loss can be minimized and the energy load required of the system reduced by using the most efficient registers and installation strategies. 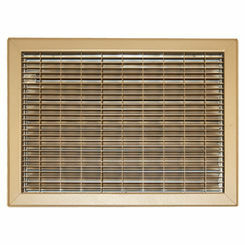 Registers located near exterior walls contribute very well to proper airflow. You want to avoid placing furniture too close to the register. This will hamper the productivity of your system. Remove your old wood or metal floor register cover by using your screwdriver. Most floor registers are set in place and not screwed down. 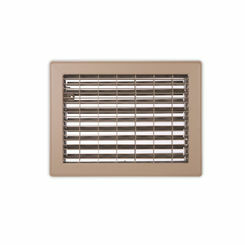 However over time dirt and debris can become wedged in between the duct and the floor vent making it hard to remove. 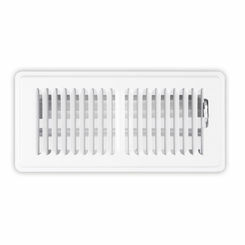 If this is the case using the leverage of a screwdriver is a common way to pry the vent cover up, but be careful, wooden floors can scratch easily, and vent covers have known to bend and kink. 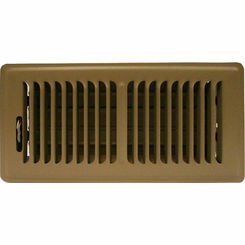 Take a measurement of the size of the vent. Purchase new floor registers to match the size of the opening. We advise you not leave the vent uncovered for safety reasons. When the new floor register arrives, remove the old one and simply screw the new register in the floor. If you have carpet, the fit is so snug you often do not need to fasten the register. 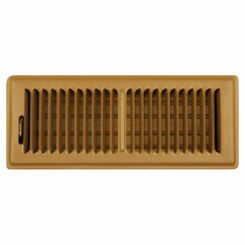 Floor register covers are normally made of steel and then painted a bronze, white, or another neutral color. But there are other options for floor registers. PlumbersStock has a variety of choices. Be sure to pick a floor register that matches the size of your duct opening. 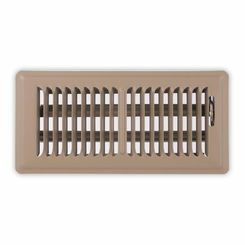 Measure the width and length of the duct opening to determine the correct size to purchase. For a unified look for your home, choose a style that compliments your existing design theme. Luckily, we have a selection that will go great with a variety of design themes. We offer great product from trusted manufacturers, like Hart & Cooley and Shoemaker. There are numerous options from which to choose. It just depends on what your style is, and what works the best in your home. 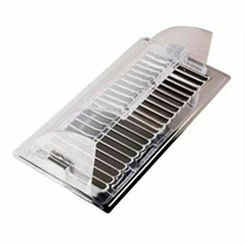 Keep in mind that floor registers cover a wider area than the duct opening by about 1.5 inches. Sizes specified in the product information are meant to match the size of the opening. With great prices, and unbeatable service it is no wonder that so many choose PlumbersStock. 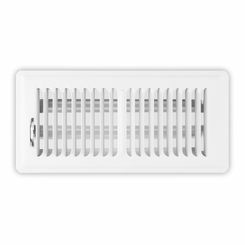 If you have any trouble finding the best floor vent register or need more information on products, please contact a member of our staff and we can help you make your purchasing decision. 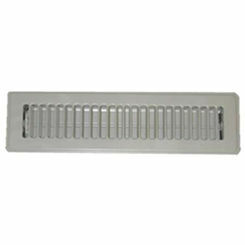 If you need wall registers we have those too.